This is done from a reference photo I took last summer when I was up at the farm in Canada. I had gone for a walk one afternoon, but as I was walking the weather suddenly began to darken. Winds came up and storm clouds began to roll in, so I turned around and headed for home, hoping to get there before the storm broke. 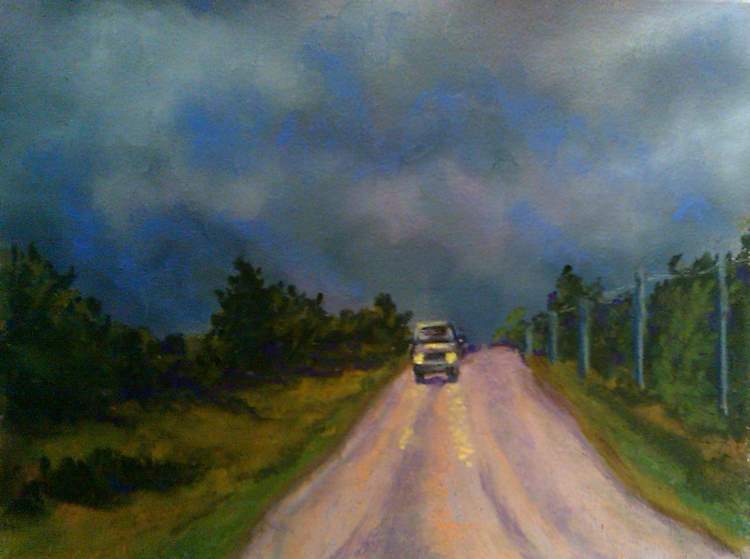 The dark clouds were all facing me as I headed home, and shortly before I got there this car came over a small rise towards me, its headlights shining bright in the blackness of the day, and I had to take the photo, and have been yearning to paint it ever since. This was done my usual 9x12 Art Spectrum. 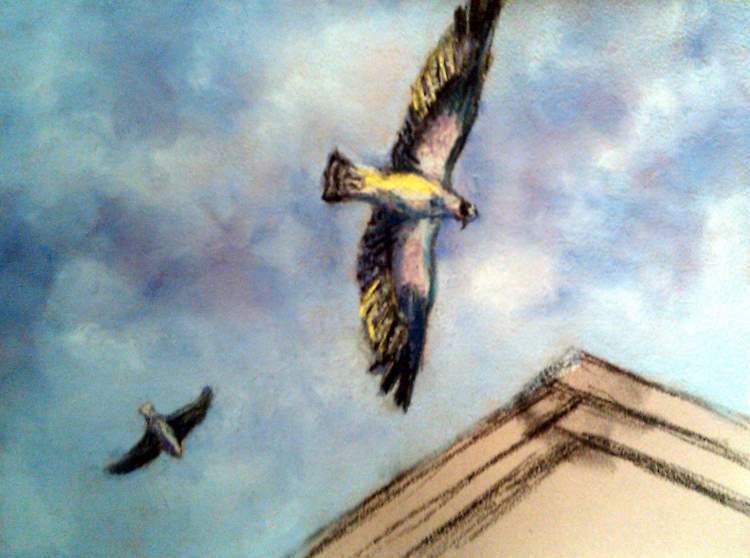 I finished early and still had time to go in class, so started a second painting, a composite of two reference shots I took in December of a pair of ospreys that hung around the apartment complex where my son and daughter-in-law live in Jacksonville Beach, FL. I'm getting quite a bird series now, so will see where this one goes. by the way.. I forgot to say Happy Birthday to you yesterday. I am very sorry! I blog in the morning while I get the kids ready for school and so I get sidetracked easy. Again.. Happy Birthday one day late! I hope it was a good one for you.